Only two weeks into President Donald Trump's time in office and an increasingly tense political climate, it was nearly inevitable that commercials during the Super Bowl this year would have more of political slant than normal, and one in particular seems to have both resonated and agitated more than the others. Airbnb, an online network and app that helps people list and rent lodging, aired an emotionally-charged Super Bowl ad promoting diversity and tolerance across different races, creeds, genders, and religions. "We believe no matter who you are, where you're from, who you love, or who you worship, we all belong," read the text that appeared over sweeping pictures of people from multiple demographics. The only good commercial is #weaccept. Everything else is weak sauce especially that one promoting OIL... wth. #weaccept That liberals are not the morally superior people they pretend to be. "The world is more beautiful the more you accept." 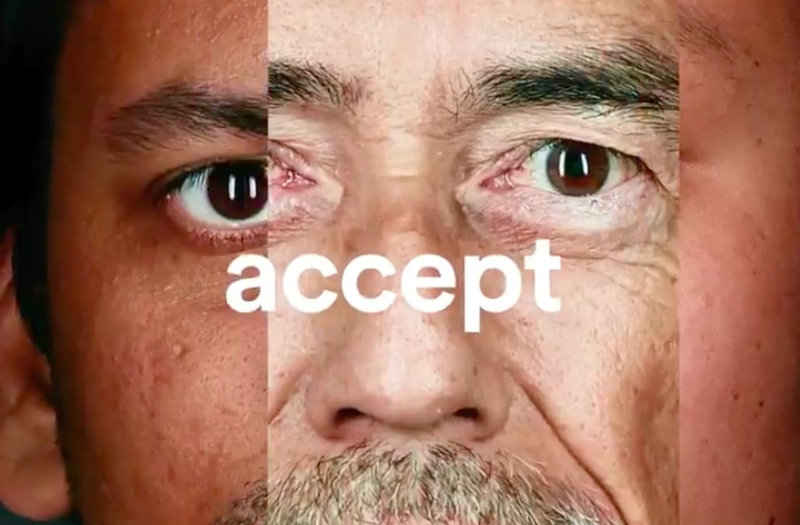 The hashtag #weaccept began trending worldwide on Twitter shortly after the ad ran. Many online celebrated the message. "Thank you @Airbnb for leading out front! Love and appreciate you for this strong stance you've taken!" said one Twitter user. Former Attorney General of the United States Eric Holder also tweeted his appreciation saying, "This is who we truly are - We work together. We stand together. We are one nation. We are one people." The ad follows President Trump's controversial executive order which temporarily banned America's borders to all refugees and to citizens of seven Muslim-majority countries. Some noticed that the ad pointed to a shared theme for a lot of ads during the big game. "A huge theme for #SuperBowl 51 commercials are unity, many races many colors it's who we are rich in culture and diversity." Others online, however, were not happy to see the political and sports worlds collide. "I just threw up in my mouth when I saw the #weaccept commercial. Liberals still can't take the L from November," tweeted one user. Airbnb CEO Brian Chesky also announced plans to "provide short term housing over the next five years for 100,000 people in need," and donate "$4M over 4 years" to International Rescue Committee.